Becoming a member of the OSA/SPIE Berlin Optik Student Chapter is easy! Participating in the Student Chapter gives you access to Student & Young Professional Programs, the most recent research on your topics of interest through magazines and papers, and much more. It also gives you a chance to participate in industry and community activities, which will enhance your CV and professional skills. During registrations you will have the chance to choose to become a member of our Chapter. For most of our sponsored activities, being a member of one association will give you half off the price of the events, and two memberships will allow you to enjoy the events for free. 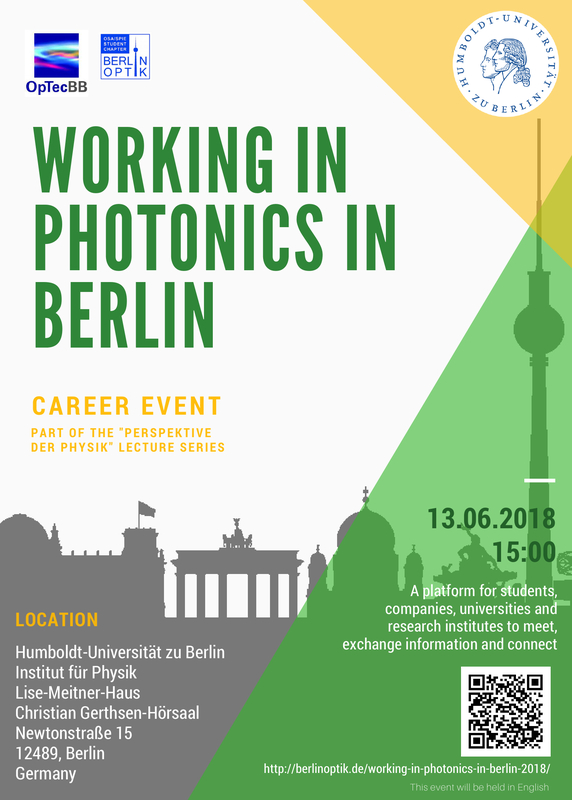 The last step is to write us an email at BerlinOptik@physik.hu-berlin.de stating your name and when you joined, and we will add you to our mailing list.